Summary: Archangel’s hired researchers discover a way to kill Apocalypse. Meanwhile, Apocalypse appears in a giant spacecraft over Liberty Island. The X-Men invade the spacecraft and discover the sentient personality, Ship, that has been forced to follow Apocalypse’s will. While Beast works with Ship to defeat Apocalypse, Rogue follows a fanatical Archangel on his assassination plot. Archangel discovers that he was duped by Apocalypse all along as his plan fails. Ship traps Apocalypse in a force field, creates a pod around him, and shoots it into orbit. Unable to repair the damage inflicted by Apocalypse, Ship then crashes into the ocean. 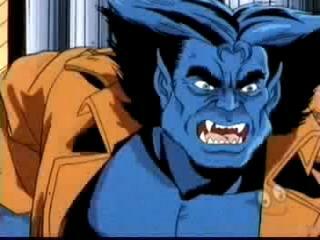 The X-Men featured in this episode are Cyclops, Wolverine, Beast, Gambit, and Rogue. Ship makes his debut on the show. “His” isn’t a very accurate term, however, as Ship is given a female voice. Archangel is no longer “bald,” as Rogue takes off his partial face mask and reveals that luxurious mullet he had in the comics at the time. Archangel’s wing-blades are also drawn properly this episode, as opposed to the arrowheads we saw in episode ten. “Um, Actually…”: My memory is that Ship was always referred to as a male during his appearances in X-Factor. I do know that when Ship became the sentient robot Prosh in X-Force, he was clearly male (or as male as a robot gets). "Actiiing! ": You hear that unique Canadian pronunciation of “sorry” numerous times in this episode’s opening, as Archangel berates his archeological staff. Review: I tend to view “Obsession” as one of the better episodes from this season, but I think Archangel’s hysterical behavior, and bad acting, do a lot to drag the episode down. The Apocalypse/Archangel rivalry was at its zenith when I first got into comics, so I’ll always have some nostalgic affection for any story pitting Archangel against Apocalypse, and Ship was the kind of obscure character I loved to see turn up in the cartoon, so I guess I’m revealing my biases early. I really wanted to like this episode as a kid. Having the researcher with the foolproof way to kill Apocalypse actually turn out to be Apocalypse is a nice use of his shapeshifting powers (maybe the only one during the show’s run), and there is a strong episode-to-episode continuity with the original Archangel storyline, as Rogue is automatically sympathetic to his cause because she absorbed his persona months earlier. What’s annoying is the casual way Ship is tossed aside at the episode’s end, not to mention Cyclops’ blunt declaration that a hothead like Archangel could never join his precious X-Men. That whole “illusion of change” edict was really starting to grate on me at this point, and years later, it still bothers me. From this point forward, too many of the episodes just have a feeling that they’re killing time, which is not a problem the show had in the early years. Credit to http://marvel.wikia.com/ for the screencap. Summary: Sauron uses his abilities to drain Storm’s excess power. Storm then destroys one of the Garokk monuments, inadvertently spreading his essence across the soil of the Savage Land. Garokk fuses with the planetary forces under a volcano and grows thousands of feet tall. Sauron responds by absorbing the same forces and growing as large as Garokk. Their fight ends in a large explosion; Garokk is once again trapped inside a monument, while Sauron reverts into Karl Lykos. The X-Men return home, with a better understanding of the burden Storm’s powers place upon her. Continuity Notes: The High Evolutionary appears in a flashback story narrated by Garokk. Garokk explains that the High Evolutionary was threatened by his power and had him imprisoned years earlier. Miscellaneous Note: Garokk quotes Percy Bysshe Shelley’s “Ozymandias" when he emerges from the ground, adding more credence to my theory that comic fans absolutely cannot escape this poem. 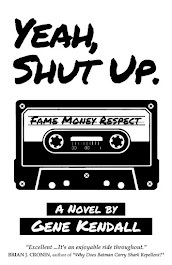 Review: The second chapter really does nothing to save this two-parter. The character hook for this story is merely “it sure is hard being Storm,” but at no point in the story does she feel particularly sympathetic. There is a root of a good idea in there, hinted at in the first chapter when Rogue encourages Storm to let loose and later realizes how horrifying that would be, but the execution just falls apart. The other hook for this story is seeing the X-Men team with Sauron, and while those scenes do alleviate some of the boredom, Sauron isn’t interesting enough to play a Magneto role. And that ending that has Garokk and Sauron both growing several stories high after squatting over a volcano…I’ve always hated it. It looks absolutely ridiculous, and it’s a poor use of both characters. I can appreciate that the producers were inspired by the Garokk/Zaladane/Sauron/Savage Land story from the Claremont and Byrne days, but that makes these episodes even more frustrating. There really is solid material to be adapted here, but instead we got this mess. Summary: A weakened Sauron is rescued from Ka-Zar by Zaladane. After he transforms into Karl Lykos, Zaladane gives him a Garokk medallion and sends him away from the Savage Land in one of Magneto’s abandoned aircraft. He arrives in New York and succumbs to his urges to feed off humans. He inadvertently selects Wolverine as a target, which places him in conflict with the X-Men and causes his Sauron persona to return. 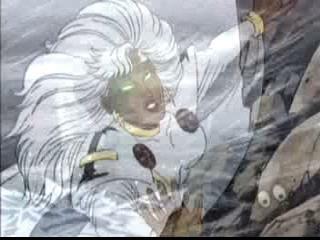 Sauron hypnotizes Storm and takes her back to the Savage Land. The X-Men follow, and soon discover that Storm’s powers are out of control. Zaladane boasts that this will awaken Garokk. Miscellaneous Note: Wiki and a few other online resources list the title of this two-parter as “Savage Land, Savage Heart,” as opposed to “Savage Land, Strange Heart,” which is how the title is listed on the DVD. 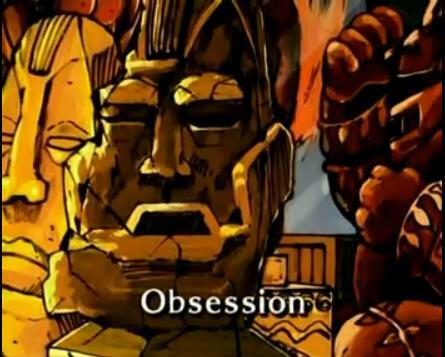 I’m not sure which title was used in the original broadcast, since there are some instances of on-screen cyrons being changed on the DVDs. The X-Men team in this episode consists of Wolverine, Storm, Rogue, Beast, and Jubilee. Zaladane and Garokk make their animated debuts this episode. They’re probably most famous for their appearances during the Savage Land arc during the Claremont/Byrne Uncanny X-Men run. According to Ka-Zar, Sauron rebuilt Sinister’s citadel using brainwashed members of the Fall People. The aircraft Magneto left behind has a list of pre-set destinations. One of them is Asteroid M, which is the first reference to his orbital base in the cartoon. “Um, Actually…”: Karl Lykos blames the creation of Sauron on Mr. Sinister’s experiments, which contradicts his comic book origin (which involved getting bitten by radioactive pterodactyls, as I recall…). Saban Quality: There are numerous examples of characters speaking without their lips moving, or the wrong voice coming out of a character’s mouth during the episode. Review: And this is where the production order vs. broadcast order confusion begins. There’s no real defense for this to be the first episode aired after “The Phoenix Saga,” outside of it being the one that happened to be ready to air. The next chronological episode is actually "No Mutant Is an Island,” which will not air until literally two years later due to numerous production delays. Without "No Mutant Is an Island,” you’re left with no mourning for Jean, and more glaringly, no explanation as to how Jean is still alive. That’s jarring, to say the least. Ignoring the continuity bewilderment, the episode is fairly generic superhero material. The episodes of the show that don’t hinge on a character conflict, or the larger issues of prejudice and isolation, are rarely memorable. I imagine the series is returning to Savage Land again so quickly because the producers feel that kids like dinosaurs, and that’s kind of the Savage Land’s thing, so here we are. I remember reading those Zaladane/Garokk issues as a kid in Classic X-Men, so there was some novelty to seeing the villains animated for the first time when the episodes aired, but there’s really nothing in the story that holds my attention today. The Plot: Peter is saved from Morbius by Hammerhead, who has invaded Fortunato’s compound with his men. SHOC, Morbius, and Peter are all taken to Hammerhead’s home, where he explains that he’s trying to stop Fortunato and Hydra from overtaking the city. Just as Peter sneaks away and transforms into Spider-Man, Crown attacks with Hydra forces. 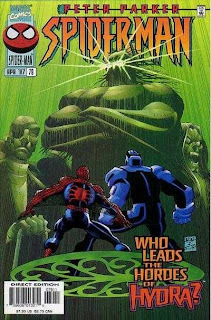 Morbius’ bite weakens Crown, and by combining his webbing with SHOC’s powers, Spider-Man is able to protect the city from a release of Hydra’s dark energy. Hydra’s ship is destroyed as the energy is reflected away from the city. Hammerhead somehow knows that SHOC’s father was working for Hydra, unwittingly, years earlier. Also, Romita, Jr. is deemphasizing the unusual shape of Hammerhead’s head, making him resemble ‘90s John Travolta this issue. I can only assume that the shadowy man in the trenchcoat last issue was intended to be Baron von Strucker, who now steps into the light and makes a cameo. Crown proclaims that he will die as his predecessors have, and that the same technology will also kill SHOC. Dr. Andrea Janson was working on a cure, which somehow involves Morbius. Miscellaneous Note: The title of the story is a reference to Blood Simple, which the internet tells me was Joel Coen’s directorial debut in 1984.
Review: Sure, why not throw Hammerhead into this, too? This is the cramped, rushed conclusion to the SHOC/Crown/Morbius arc, and it does essentially nothing to save the story. We’re given no real answers regarding the nature of SHOC and Crown’s power, nor do we ever learn why exactly Morbius is connected to it. We also have no idea who Crown is actually supposed to be, nor or his predecessors were, which makes his vague death scene this issue even more annoying. Also, in retrospect, the Dr. Janson angle is kind of messy. Not only do you have to buy the fuzzy logic that vampirism is somehow tied into Dr. Aiken’s scientific discovery of a mysterious black energy source years earlier, but you also have to accept the coincidence that the doctor Morbius sought out to help his condition just so happened to be Crown’s lover. And what was the point of using Morbius in this arc? Apparently, his one-panel fight with Crown is supposed to be his big redemptive moment, a moment the previous issues haven’t built towards in any way. There are also a few tacked on scenes of Spider-Man trying to befriend the young son of one of Hammerhead’s men, but that goes nowhere. Nor does the drama of SHOC possibly joining Hammerhead’s forces actually add up to anything. Everything just falls flat, except for the art, which I fear will be a recurring theme of this run. The Plot: Dr. Andrea Janson betrays Morbius, allowing Crown to take him to a Hydra hideout. Crown tells Fortunato that an element in Morbius’ blood could aid Hydra in the future. Fortunato sends Crown to retrieve Neal Aiken, who is currently on the ESU campus. Peter Parker and old classmate Abby Levin are caught in Hydra’s attack. Neal transforms into SHOC and rescues them. In order to stop the violence, SHOC agrees to go with Crown. Later, Peter wakes inside a cell. His cellmate is Morbius. The Subplots: SHOC rescues Spider-Man in the issue’s opening after Spider-Man succumbs to vertigo while in midair. Betty Brant, meanwhile, is given an overseas assignment. More vague talk from Crown…He intimates to SHOC that he’s already dead, then two pages later, responds to SHOC’s taunt that he’s going to die soon with “sooner than you think.” Crown also questions SHOC’s claim that he killed his father. Crown and Dr. Andrea Janson have also been lovers for a while, apparently. Fortunato has a smaller font than the rest of the characters. I can only assume that this is done to emphasis that his voice is now weak. Abby Levin is, as far as I can tell, a new character created in order to be an “old” classmate. Peter runs into the abrasive Paul Stacy again at ESU. Peter comments that Paul’s still growing out his goatee, and a footnote helpfully points us to Amazing Spider-Man #422. The cross-title continuity during this era is often inexcusably sloppy, but amazingly, this is a detail the creators really wanted to keep consistent. *See _________ For Details: Betty’s story is picked up in Spider-Man Unlimited #16. "Huh?" Moments: Betty is able to look at the cover of the file folder handed to her by Jonah Jameson, one with no writing, and automatically discern what the story is supposed to be. Later, Neal Aiken shows his fantastic potential as a superhero as he leaps into battle in his civilian identity…before turning into SHOC in the very next panel. Why would this dullard reveal his secret identity like that when he clearly didn’t have to? Miscellaneous Note: Klaus Janson was originally listed as the inker of this run when Marvel began its early hype for the post-clone issues. I’m assuming Dr. Janson was named in his honor. Review: Perhaps the weakest post-clone PPSM issue yet, as we’re forced to wade through a combination of pseudo-scientific dialogue and needlessly cryptic dialogue while the Crown/SHOC storyline muddles along. And, for no immediately obvious reason, Hydra and Morbius are here to clutter things up. The ESU scenes with Peter, MJ, and Betty should theoretically add some humanity to the story, but none of them exhibits much of a personality during the issue. Betty taunts Peter about having to take care of her cat while she’s away, but I defy anyone to find an actual joke during the exchange. The revelation that Dr. Janson is a not the innocent scientist we were originally lead to believe is a decent twist, however. And Romita obviously brings us a solid interpretation of Spider-Man, even though he’s only in costume during the issue’s opening. An opening that mainly exists to hype SHOC, of course. Romita also does an impressive job on all of the Kirby tech we see throughout the issue, and his Morbius is one of the few interpretations that really sells the character. Okay, credit where credit’s due, that cliffhanger with Peter sharing a cell with a hungry Morbius isn’t bad, either. I'm just not sure if it's enough to bring you back for the next issue, assuming you're not a completist. The Plot: Electro reflects on his past while Delilah uses an electric chair to recharge his powers. Meanwhile, the Rose meets with Fortunato, who offers his help against Black Tarantula. The Rose declines. 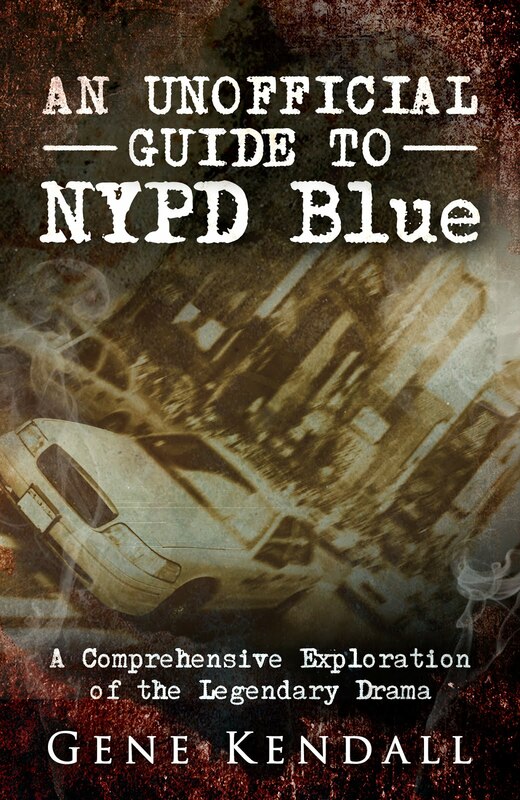 The Subplots: Peter is assigned Paul Stacy as a tutor. He also runs into Phil Urich on campus. MJ sees a counselor following the loss of the baby. Madam Qwa continues to train Dragonfly. Alison Mongrain reports to Norman Osborn, annoyed that she hasn’t been paid for overseeing his “project.” Robbie Robertson argues with his wife over his work hours. Unbeknownst to Robbie, Black Tarantula has ordered him to be assassinated, with the blame to be pinned on the Rose. Paul is already Peter’s tutor in the Peter Parker, Spider-Man arc that takes place before this issue. Peter wonders if his headaches are related to the bite he received from Morbius in Peter Parker, Spider-Man #77. In the other titles, Peter’s suffering from vertigo, not headaches. Fortunato reminds the Rose that he knows the face under his mask. The “project” Alison Mongrain is overseeing is obviously intended to be a baby, as she’s speaking baby-talk to someone in a baby carriage. This is the first hint that Peter and MJ’s baby is alive, a subplot that’s cruelly dropped at the end of this era when it’s revealed (as I recall) that Alison was looking after a cat all of this time. Review: This is one of the few Amazing Spider-Man issues to go virtually the entire issue without showing Peter as Spider-Man, as we only see Spider-Man in action during brief flashback scenes. (Perhaps only the second Spidey-less issue, following that “Where’s Spider-Man?” stunt in 1986.) The focus this issue is on Electro, as he provides a firsthand account of his life so far. DeFalco borrows heavily from J. M. DeMatteis’ “Light the Night” arc in Spider-Man, reinforcing the idea that Electro suffers from terminal low self-esteem and is willing to do anything to make himself feel important. 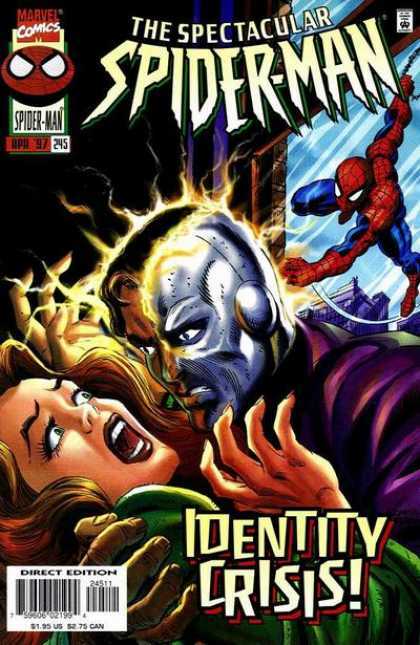 The flashback material, featuring Electro’s abusive father, controlling mother, and shallow ex-wife, is handled well and helps to build up to Electro’s big “rebirth” scene at the end. The rest of the story is devoted to subplots, and while many of these subplots ultimately lead to disappointing main plots, I’m still a sucker for a subplot-heavy issue. The major drawback to the issue is the art. 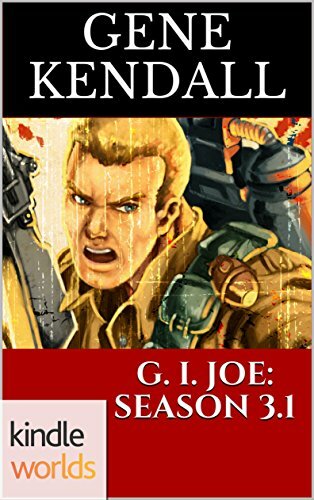 Joe Bennett can occasionally handle the acting the story requires, but for the most part his work here looks like a slightly cartoonier Mike Deodato circa 1995, and that’s not a good thing. The inking also looks muddy, which is a problem I often had with the inkers assigned to Bennett’s work in the ‘90s. I think he would’ve benefited greatly from having someone like Tom Palmer or Sal Buscema ink his work, professionals who know how to produce slick comics, but could've also fixed Bennett's more egregious mistakes . The Plot: Angela Yin’s cousin Meiko is ambushed by a group of ninjas called the True Believers at a charity carnival. Spider-Man intervenes, but Meiko refuses his help. Soon after, Meiko explains to Angela that her former fiancée Karsano is now a True Believer. Under the tutelage of Madam Qwa, he’s been ordered to kill Meiko in order to earn the title of Dragonfly. Spider-Man spots the True Believers while spying on Angela’s apartment. 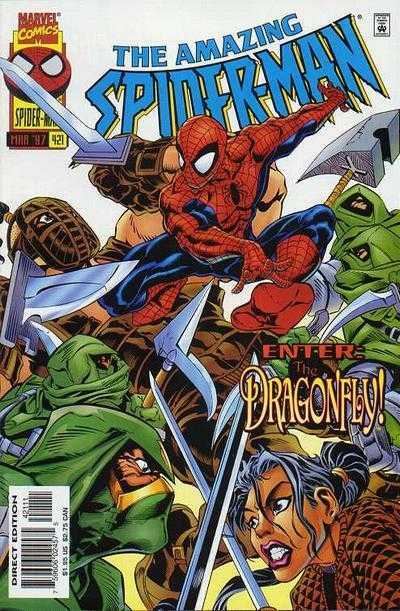 A battle soon erupts, and Spider-Man destroys Karsano’s family sword. Karsano wills himself to disintegrate as penance. Later, Meiko meets in secret with Madam Qwa, who labels Meiko the Dragonfly. 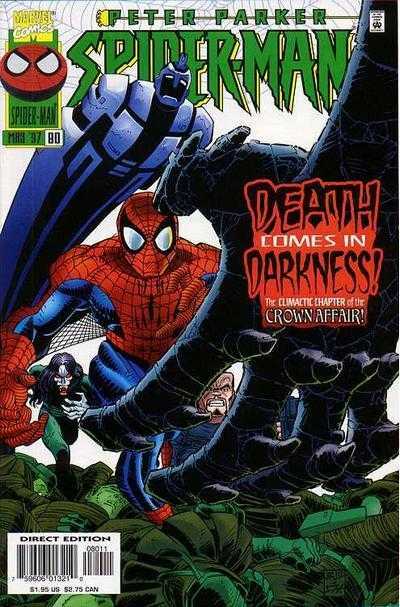 The Subplots: Madam Qwa says that their “current employer” wants Spider-Man dead. 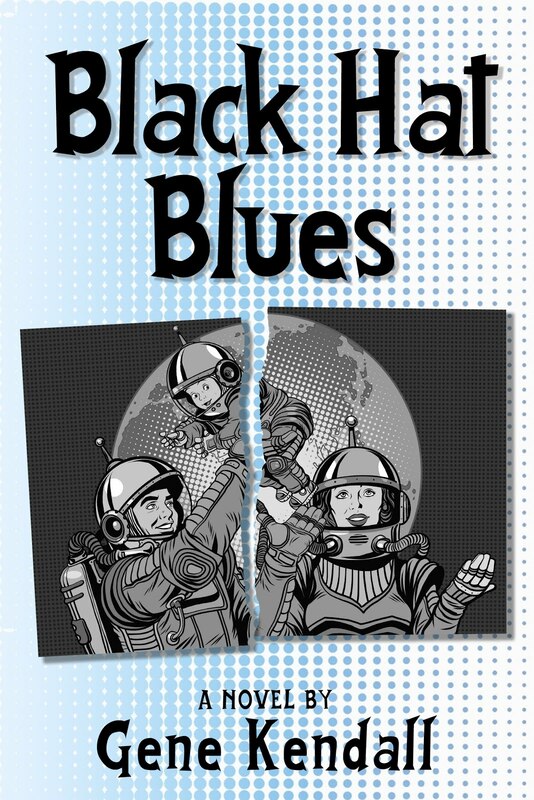 We’ll discover in the backup story this is a reference to the Black Tarantula subplot. I Love the ‘90s: Within the first few pages of the story, we have references to Mortal Kombat, “Hammer Time,” and Hard Copy. Spider-Man also blames the resurgence of ninjas on Jackie Chan’s popularity in America. Review: And, once again, we see that Asian Supporting Cast Member = Ninjas. I don’t know if any effort was placed into developing Angela Yin as a character by this point, but I have read a lot of Amazing Spider-Man from this era, and she’s still a blank slate to me. Using her as an excuse to introduce a hackneyed ninja storyline doesn’t do a lot to make her endearing. At least when Opal was used to as a means for some cyber-ninja insanity in X-Factor, she was already a fleshed out character that had been established for a few years in the book. Angela Yin’s just a cipher introducing more ciphers, so it’s impossible to care about any of this. Also, I’ve always hated the name “True Believers.” It’s pretty inexcusable for any non-comedy story, but attaching it to band of ninjas from the Orient is even worse. The Plot: Peter arrives at ESU in time to make his tuition payments with MJ. They begin their first day of school, and run into Paul and Jill Stacy. Peter’s professor, Dr. Howard, warns Peter to drop his class if he has any doubts about doing the work. Meanwhile, the True Believers follow the Black Tarantula’s orders and attack the Rose’s operation. The Subplots: Peter runs into Jacob Connover, who is teaching Journalism at ESU after being laid off from the Daily Bugle. The story emphasizes his grudge against Robbie Robertson, but I don’t think anything comes of it. Web of Continuity: For the record, Peter says he’s going to school to complete his graduate studies in Bio-Physics. Review: Apparently Steve Skroce was already having deadline problems, leaving Tom DeFalco to tell the story of Peter and MJ’s first day back at school as a separate backup story. It’s a sad forecast for what’s to come -- I don’t think anything memorable ever emerges from the Parkers’ return to college. I can understand why the creators assumed that reviving the ESU setting could introduce some new story possibilities, and provide an easy way for the Parkers to interact with the editorially mandated return of the Stacy family, but no one writing the books during this time seems too invested in the idea. I do like the art, though. This is the most stylized I’ve ever seen Geof Isherwood, as he pulls off a strange cross between Mark Texeira and Gene Colan. I wish he could’ve done more work on the books during this era. 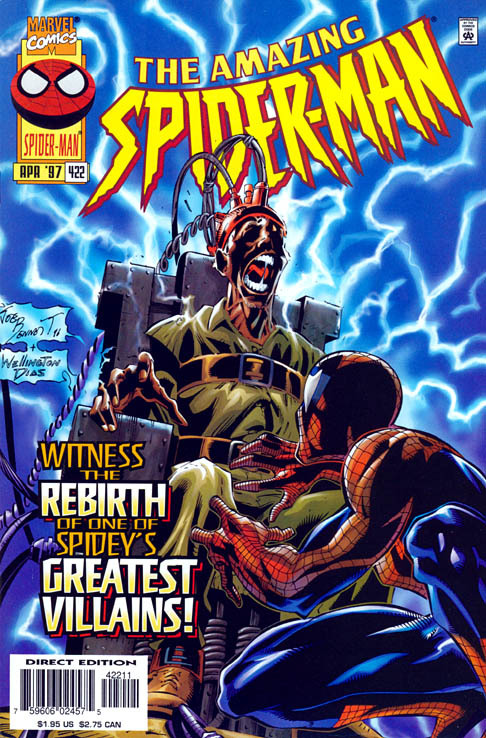 The Plot: A dart knocks Spider-Man unconscious, allowing Chameleon to place him in a cage with Dr. Kafka and John Jameson. Chameleon departs for the Parkers’ home, leading Spider-Man to push himself and break free of the electrified cage. At home, MJ quickly discerns that “Peter” is an imposter. When Spider-Man enters, he discovers MJ pummeling Chameleon with a baseball bat. Chameleon escapes in the confusion, but is soon confronted by Kraven outside. Kraven boasts that he hit Spider-Man with the dart, proving to Chameleon that he isn’t a hallucination. Proclaiming that there can only be one Kravinov, Kraven shoots Chameleon with a shotgun. The Subplots: Mad Jack is spying on MJ in the issue’s opening. Flash, meanwhile, is thrown out of a bar for being a belligerent drunk. Elsewhere, the Kangaroo is asked to join a group that includes the Grizzly, the Gibbon, and the Spot. Web of Continuity: I’ve read that Spider-Man/Daredevil miniseries that was supposed to reveal Mad Jack’s true identity two or three times, yet I can’t recall an explanation for why he’s spying on MJ this issue. Was this ever resolved? We Get Letters: Someone accidentally runs the same letter column as last issue’s. Review: Considering the lengthy setup, this doesn’t feel like much of a conclusion. It’s not the kind of pathetic anti-climax that the X-office would occasionally bring us back in the ‘90s, it just doesn’t feel as if the story lived up to its potential. There are some decent scenes, such as MJ truly contemplating the repercussions of yet another lunatic learning Peter’s ID*, and the revelation that Kraven is not a hallucination is appropriately dramatic, but I don’t feel as if this is a truly satisfying conclusion to a five-month arc. I also think giving the Chameleon a rushed, vague death scene just feels like a cheap out; the kind of quickie death you would expect after a villain learns the hero’s secret ID. MJ beating up Chameleon with a baseball bat is a classic moment, though. More people would probably remember it if a) the Spider-titles ever gained momentum following the Clone Saga, and b) Marvel wasn’t pumping out so much Spider-product during the era. After looking back on these issues, I think the major hindrance to the story would be the art. Not that Luke Ross is terrible, even at this point you can see he’s got talent, but his cartoony nature just doesn’t suit the story. The subplots, yes. (Ross is having fun with the “loser” villains, and he draws an amazing Mad Jack.) But the psychological drama just doesn’t connect, nor do you get a real sense of horror at the prospect of Chameleon invading the Parkers’ home and doing who-knows-what to MJ. 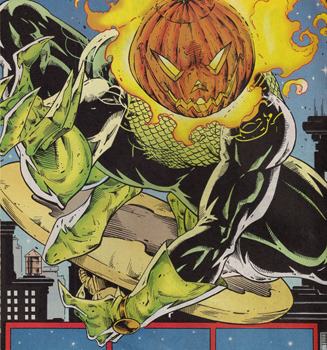 I can picture Sal Buscema or Mark Bagley really selling this arc back during their collaborations with DeMatteis, but Luke Ross just isn’t on that level yet. *A charitable soul might even use MJ’s monologue as a justification for Peter’s actions in Civil War years later, since she considers holding a press conference and just getting the info out there…I would say she’s being intentionally absurd, but I discovered long ago that some fans on the internet could rationalize any inane story published by a major comics company.